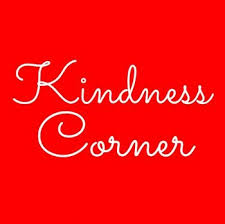 Welcome to the Elementary School Kindness Corner! Each week, Elementary School student authors will be featured to share with us acts of kindness, or things they have learned about being kind. This week, our third grade classes participated in a special kindness session. We reviewed ways to be an Upstander and discussed ways we can support our friends. We also discussed tattling versus reporting. Tattling is trying to get someone in trouble, while reporting is getting someone out of trouble. Stay tuned for more updates about our Elementary School kindness initiative. On Wednesday, the whole class made a chain of kindness by working together. We were putting our pinkies together, and we traced our hands on a big paper. We wrote our weaknesses on the right hand and our strengths on the left. We decorated it and tried to make it look like a big friendship poster. We tried to come up with a good name for it, but we are still working on this. Mrs. R. asked us what we learned after we made the chain of kindness. I learned that we can work together and never give up. I liked this project because I was working together with my friends. Mrs. R. came to visit the third-grade class this week, it was a special surprise. We did the hand of kindness project. It was hard and it was fun. We learned that some people have different strengths and weaknesses. You can try do things that are not your strength because you can always ask for help if you need it. If you are good at something you help others. This was important because we learned about kindness. I liked this because we learned how to get along.